For the ultimate in durability and beauty, a copper roof or copper detailing is the perfect accent to any home or business. Because it's made of real copper it's created to turn from the fiery orange copper color to a soft patina green and its unique look will make your roof the envy of all your neighbors. All copper roofing is installed to the Revere copper hand-book guidelines, so the material and workmanship will last a lifetime and beyond. 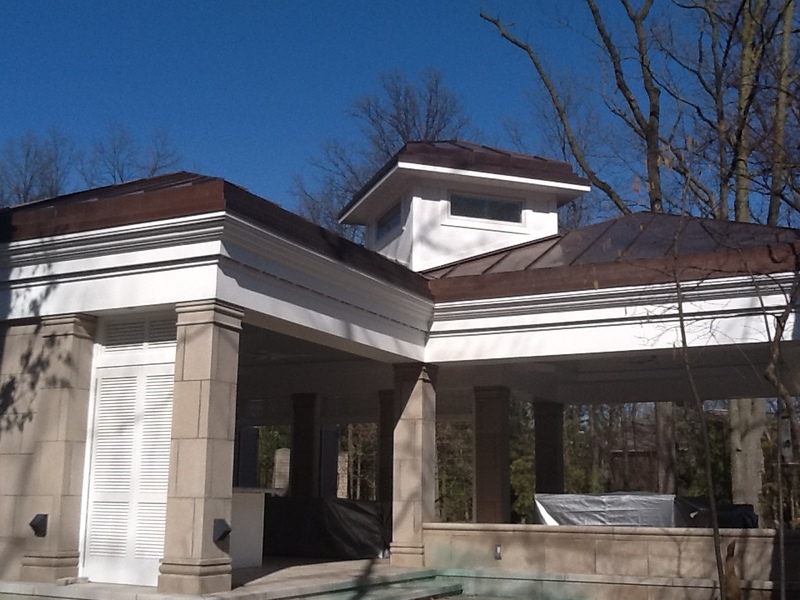 We are currently one of the only metal roofing companies in north central Ohio or possibly all of northern Ohio with the skillset to work with copper roofing. Working with Copper takes an immense amount of skill and patience, therefore you would want to hire a company with the experience needed to work with such a high-quality material. We promise that if you were to use us for your copper roofing needs you will not regret it! Above and below are examples of work we've done for satisfied customers. 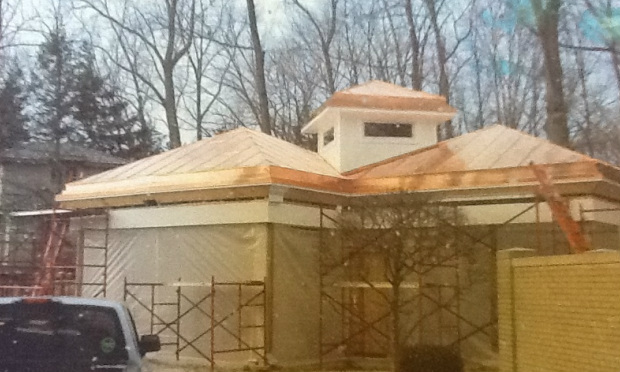 Copper roof Installion on an outdoor kitchen. Notice the bright vibrant color at time of installation, the aged picture is to the right. Here is the same outdoor kitchen project a couple of years later.